Primary (5 - 8 yrs) 5.30 till 6.30pm. Junior (8 - 13 yrs) 6.15 till 7.30pm. Hi, My name is Terry Rooke, I have over 35 years experience in Martial Arts both as student and instructor with various grades, which include, 3rd Dan Shotokan Karate / 3rd Dan Shuri' te -jutsu / 2nd Dan Ju - Jitsu / 1st Dan Kyu sho Jitsu / 1st Dan Kobudo and 1st Kyu Kempo Karate. I taught mainly in Leeds and Yorkshire before moving to the North East, with a number of very successful students over the years who have since gone on to become high ranking instructors and national coaches for competition events, also various students with private tuition including a number of professional actors, roles including, Gangs of New York, Highlander, Auf Wiedersehen Pet, The Govoner, Coronation Street and Emmerdale to name but a few. My classes are for children from five years upwards and adults of any age ( you are never too old to start ). As well as my various grades, I am a Director of the world wide martial arts association -World Council of Ju-Jitsu Organisation and have been given the mantle of Head Coach and Director of the Welsh Sport Kick Jutsu Squad. Finally I am on the A.M.A. ( amateut martial arts ) Technical and Grading Committee. 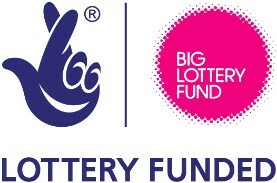 A successful Application was made to Big Lottery Awards for All to cover the cost of equipment, Hall and Tutor Fees Licences, Insurance and Exam Fees for 2010 fo 30 students aged from 5 to 17 years. The Martial Arts Programme has now been running for 12 months and has proved to be a huge success with both pupils and parents. All the 30 students enrolled, reached and achieved the 1st. grading stage in April earning their Red Belts, and were working for 2, 3 & 4th grading stages during the programme’s 1 year course. Attendance is extremely high and consistent with only a very few justified non attendances, proving the students enjoyment of the sessions, also many of the parents are actively involved in the training procedures - holding kick pads, encouragement and follow up homework, including learning command words in Japanese. The response from parents has been very positive with several remarking on the improvement in their child’s confidence and responsive behaviour. The Residents Association is very pleased that the programme has so far achieved much more than expectations and would like to express gratitude to Terry Rooke for his professional and dedicated approach, also his understanding of the needs of the students, the parents and aims of the project so well, we would also like to acknowledge the valuable assistance of volunteer Andy who has worked so well under Terry’s instruction and has also benefited from the training received.